Layered cocktails can be fun to drink, but often annoy bartenders because they're tedious to make and quickly gobbled up. Learn how to make your own easily so that you can serve your guests these visually intriguing and impressive cocktails at your next party. 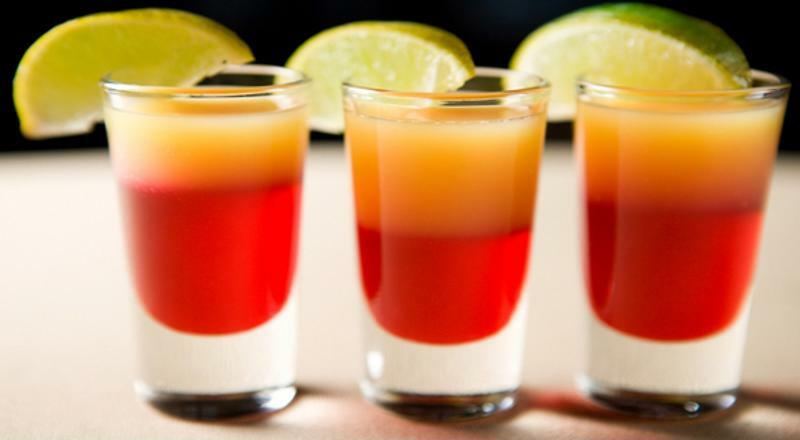 There are several varieties of layered concoctions, from shots to frozen drinks and coffee cocktails, but each has the same basic attributes. A layered cocktail contains multiple parts that are colored and often flavored differently stacked upon one another in a transparent glass. For shots, coffee drinks and cocktails that aren't frozen, this effect is achieved by combining ingredients that are different densities. A denser liquor or mixer will sink to the bottom while lighter liquids will sit on the top. This allows people to combine multiple alcohols without having them blend together into a muddy mess. Layered drinks come in all shapes and sizes. Common cocktail ingredients like grenadine and coffee liqueur are dense liquids that work well on the base of a drink, while blue curaçao is a medium density and brandy is lighter. Grenadine and blue curaçao are often used in layered drinks because of their bright colors and varied densities. Another shared trait between almost every type of layered cocktail is that they're served in thin glasses. The thinner the glass, the thicker each section of liquid will look. This is especially important in layered drinks because so much of each layer is liquor, so trying to replicate the look in a thicker glass could make a cocktail that's too strong. Unlike layered shots, a frozen drink is easier to layer because you don't have to worry about density as much. The shaved ice makes each layer roughly the same and allows you to make any color configuration. Consider concocting this simple layer margarita that combines three colors and three flavors for a bold, fun cocktail everyone will love. Layer all of your favorite frozen drinks into one amazing cocktail. Make sure your ice compartment is filled and turn on the machine. Pour this green concoction in tall glasses, filling each about one-third the way up. This is your base layer. 9 oz. Margaritaville® Margarita Mix. Combine all of these ingredients in your party machine, then just hit the switch and watch as it does the rest. 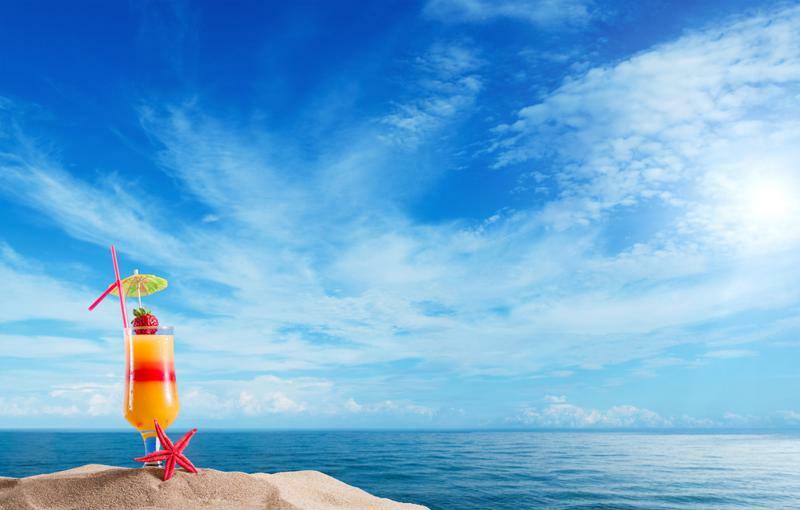 Once it's fully blended, carefully spoon the margarita into the glasses until you've filled another third of the glass. This allow you to avoid blending the layers with the force of the pour. 7 1/2 oz. cranberry juice. Blend them all in your margarita maker and you'll have a rich, red final layer to your drink. Spoon it out into the glass and garnish with cherries and limes. Now you have a three-layer green, blue and red margarita that tastes new and delicious with every sip.